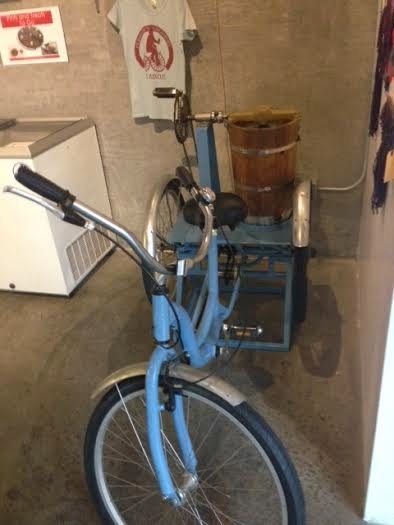 So I didn't actually churn ice cream in the video, but if you do want to try it out Peddler's does allow customers to bike for their ice cream at certain times slots in the day. 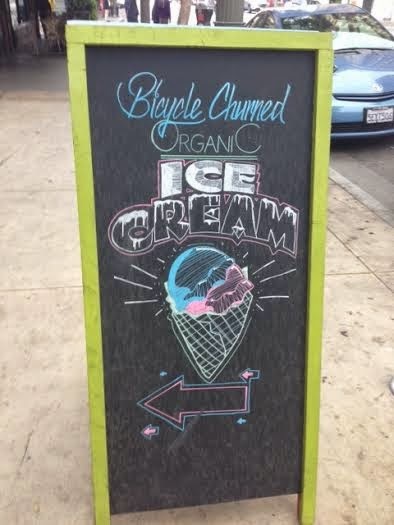 Apparently you need to pedal for about 20 minutes at 15 mph, resulting in one batch of ice cream. 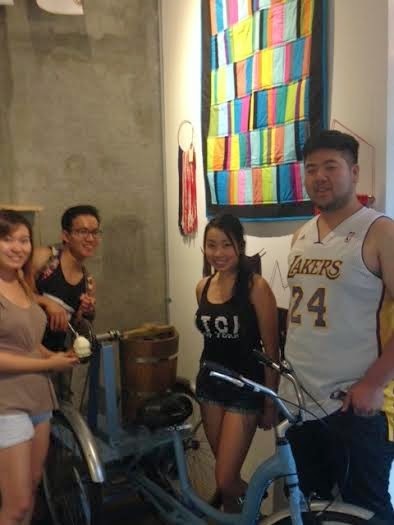 By the way, your help in churning ice cream for Peddler's profit will not go in vain. You will be rewarded, too. Depending on the how many batches you churn, you can receive free ice cream and prizes. For more details check out the Peddler's Club. 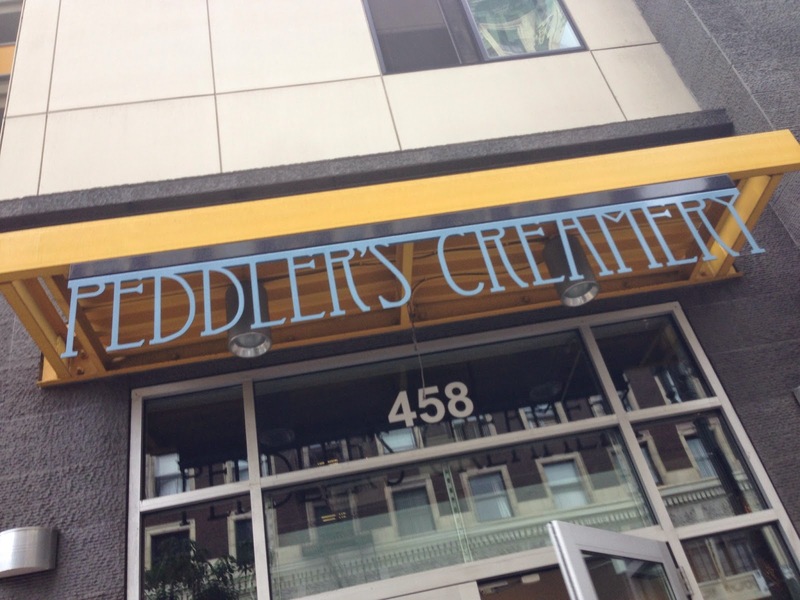 Now, the process for concocting this ice cream may seem extensive, but I can attest that Peddler's Creamery has one of the best ice creams during my #20DaysofICECREAM. They boast vegan and organic ingredients within their biodegradable cups. We ate KBBQ after this. I apologize for the lack of flavor details in this post. This really is an ice cream shop I would go back to again, but I was just so amazed by the bicycling process that I ended up just enthralled at the simple yet ingenious idea of it all!